Mophie "All-Powerless" by Deutsch LA. 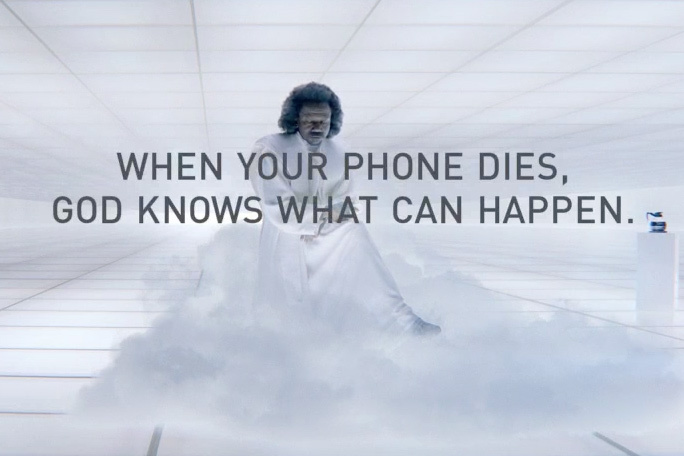 "When your phone dies, God knows what can happen" claims mobile phone accessory maker Mophie in its first Super Bowl ad. The ad, created by Deutsch LA, shows an apocalyptic world with hurricanes in Nebraska, flying pigs and dogs walking people. The ad implies it's all because a deity's cell phone is about to die. Mophie accessories allow mobile phone charging on the go, and the brand hopes to make a touchdown in name recognition with this thirty second spot. Mophie is launching a promotional sweepstakes that will pay out $1 million in products if the game goes into overtime. Chief Creative Officer, North America: Pete Favat?